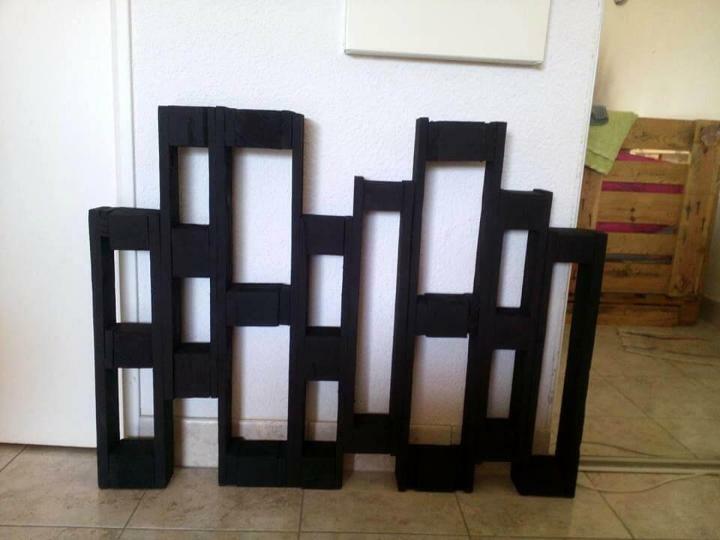 Here we are with a unique pallet-made item that will surprise you with its amazing dual functional behavior! It is all going to be a one of the most smartly made pallet wood projects that have raise the pallet wood recycling to a next level! 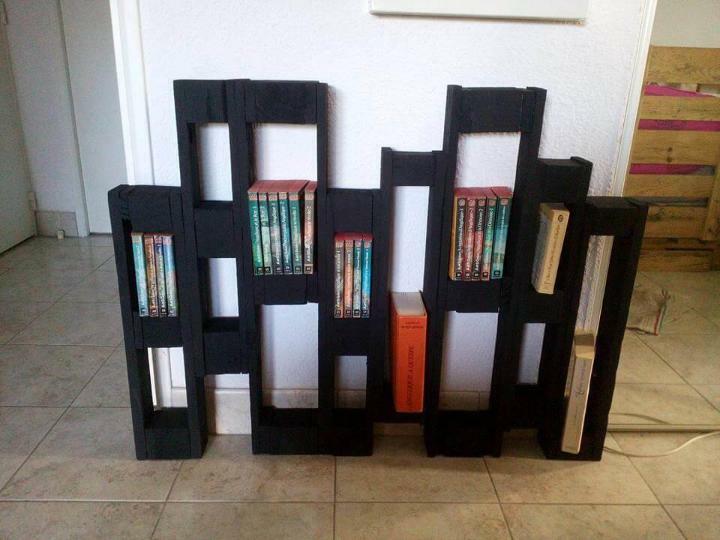 Amaze your senses by taking a look at this DIY pallet bookshelf and pot organizer, all made of separated apart pallet dice sections! Construction is pretty simple, super quick is all friendly to beginners! All you need to clone this beautiful organizer, is the removed pallet dice sections! Just flip over the pallet boards and pluck apart the pallet dice sections from them! 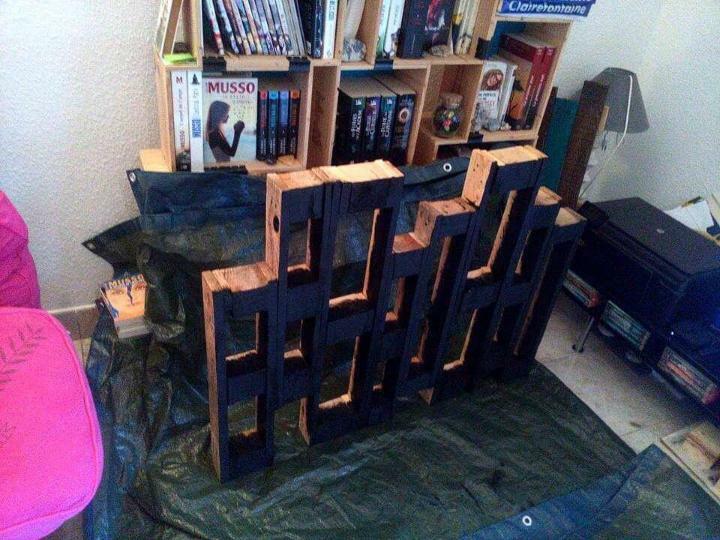 Now arrange these separated pallet dice section over a long wooden slat and just secure them all in positions! Remove the bottom plank if you are satisfied with their balanced and stylish standing! Apply custom paint coats and wood finishes and start using the organizer! 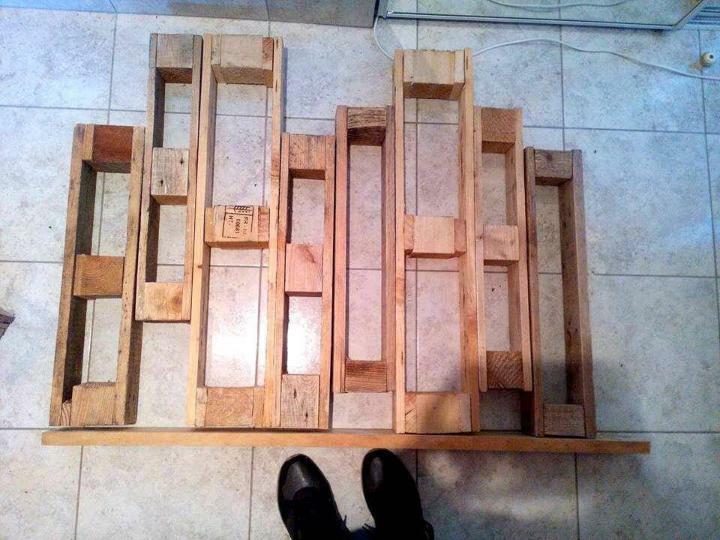 Separate apart the pallet chock or dice sections from the backside of pallet boards and put them together! Install hardware, use a popular adhesive and tie them as one unit! Stain them and use as a dual functional wooden organizer! Install a bottom supports or just skip it if you model can stand alone! 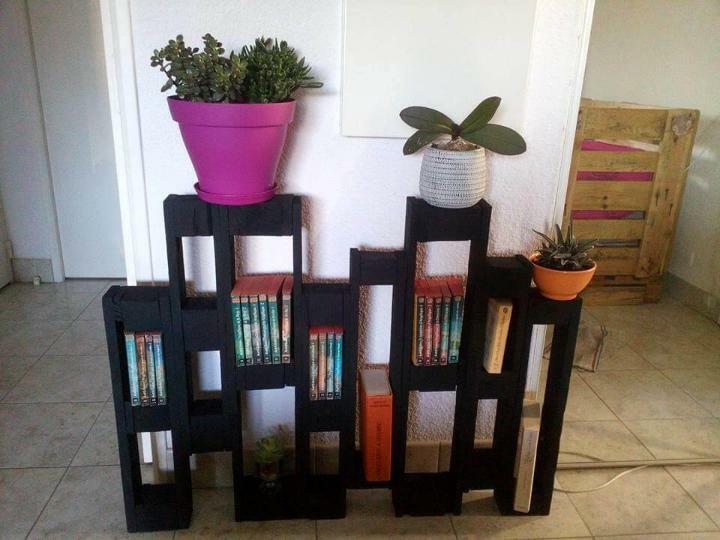 Store the books in built-in compartments and just use the top level to display the garden pots or other room centerpieces! One can also mount it on a custom wall using a perfect hardware hanging system for a wall display unit out of it! Previous Post: « DIY Tutorial: How to Build a Pallet Dog House?